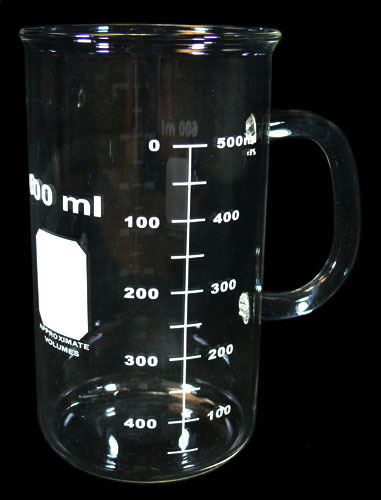 Like our standard 400 ml Beaker mug, our large 600 ml version is made from the same uniform thickness, high quality, heat resistant Borosilicate glass. Great for handling hot liquids in the lab, or use at home as large coffee mugs or other hot drinks/liquids. Makes a great gift for your chemists & scientists friends. Double graduations with a reinforced rim. Accurate to within 5% of rated capacity. 600ml.